Hello everyone. Today we share another logo design project. 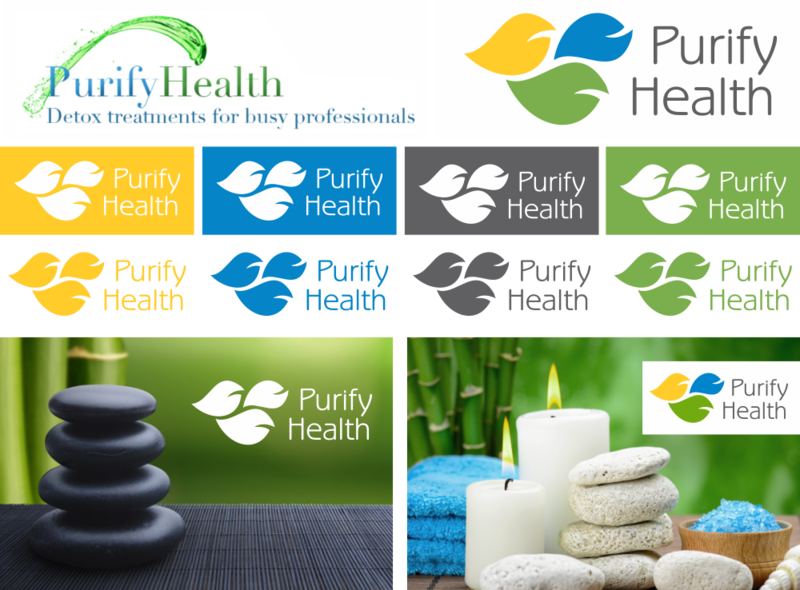 This time the client wanted to revamp her existing logo while keeping the same fresh colours. She wanted to use blue and green like her existing logo (see below left) but we suggested the addition of a happy yellow to bring the blue and green together. The company is a detoxing health spar in London. Our written brief included concepts incorporating either a natural element like a waterdrop or a leaf, or something abstract. She liked the idea of the leaf and the waterdrop so we combined the to and turned a waterdrop shape into a leaf. Because Purify Health is about a healthy body, mind and soul, we used 3 leaves and fitted them together like a puzzle. As with any respectable logo, it needed to be reproduced in single colour options and to still be nice and clear when reduced to a small size. Below you can see the old logo on the left, which wasn't really suitable for multi-media use and high quality print reproduction as it was a photographic image and not a vector. On the right and below that is the logo we created with reproduction and usage options below it. The client loved it and so do we. You can see it live in action on their website.